Phil Ivey hasn’t cashed in a World Series of Poker event since 2014. 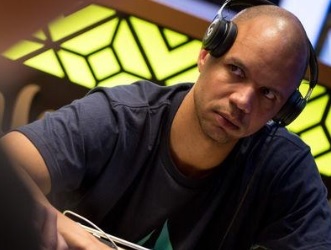 But after a string of successful tournament finishes in Asia, Ivey is excited about competing in the 2018 WSOP this summer. The 10-time WSOP champ recently spoke with PokerNews about his plans. The 41-year-old primarily plays mixed games at the WSOP. And this year should be no different, as he looks to add to his bracelet collection. Many poker players in Asia have gotten into Short Deck Hold’em, which omits deuces, threes, fours, and fives from the deck. This leaves just 36 cards in the traditional 52-card deck. It hasn’t taken him long to become a star in this poker variation. He competed at the 2018 Triton Poker Series, winning a HK$250k Short Deck event (US$604,992) and finishing third in a HK$1 million tourney (US$1.66 million). The big story when Ivey plays in the 2018 WSOP will be his quest for an 11th gold bracelet. He’s currently in a three-way tie with Doyle Brunson and Johnny Chan, both of whom also have 10 bracelets. Phil Hellmuth is the all-time leader with 14 gold bracelets. Ivey would need a record WSOP run to tie this mark in 2018.